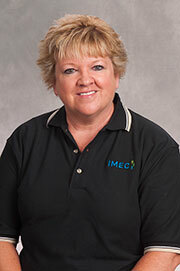 Gretchen Clifton - Located in central Illinois, Gretchen has over 35 years of experience in manufacturing. She challenges her clients to enhance their knowledge and skills to continually improve their operations themselves. 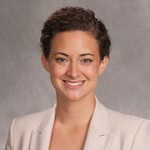 Gretchen provides management skills in auditing, quality, continual improvement, problem solving, coaching/training and manufacturing trouble shooting and she is experienced in implementing, auditing and certifying quality systems as well as mentoring project teams while finding problem resolutions. 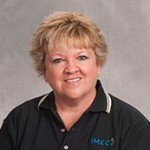 As part of IMEC's Quality Team, Gretchen has worked on projects such as QS/ISO support/implementation, vendor certification programs, regulatory/compliance audits, laboratory methods and quality control,/manufacturing troubleshooting and Management/Supervisory training. She also brings experience in the food industry, automotive, injection molding and machine shops. 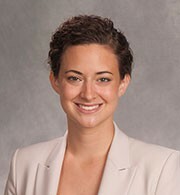 Ashley Beaudoin - Based in Chicago, Ashley focuses on the people aspect of the people, process, product model and brings her diverse experience as a human resources professional to IMEC where she is responsible for aiding Illinois manufacturers in all of their human resource needs by delivering customized HR solutions. She provides human capital management advisory services and helps companies develop and communicate policies, train employees and implement a recruitment process. Ashley can also provide consultation and guidance to senior management and organizational partner in the interpretation of HR management policies, procedures, programs and applications of laws and regulations.